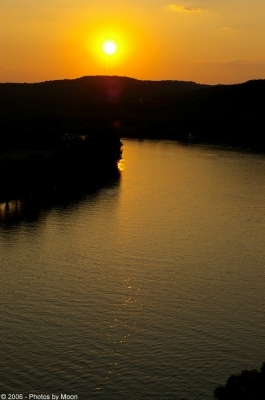 The Austin Map Project: View picture "Sun Sets over Lake Austin"
Wow, this is a spectacular photo. I wasn't doing anything nearly this interesting at sunset yesterday. I'm glad I have this nice little way to live vicariously now.